Samsung’s Gear S2 was a breath of fresh air last year, amongst a room full of stale Android Wear devices. Granted, Huawei’s Watch (released around the same time) was equally fresh, but mostly, Android Wear devices last year were about as inspiring as they turned out to be this year — not very. The Gear S2 offered a unique take on the smartwatch, with better usability, some neat features, and offering more than Android Wear did (and still does). 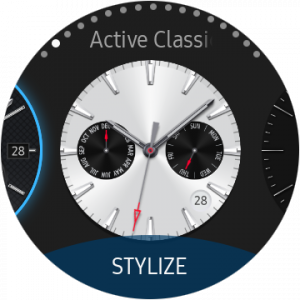 Samsung has doubled down in 2016, and the Gear S3 is one of the larger (in terms of both physical size and feature set) watches released in recent times. Packed into is larger, suited-for-mens-wrists size is a bigger screen, standalone software and more features than the competition, including its own GPS, heart rate and activity monitor and even a barometer. The downside? All this stuff takes up room, and the Gear S3 does wind up being a little large. This suits me just fine- my wrists like a larger watch – but it won’t be for everyone. Even at the launch event, I (and others) remarked that it didn’t really look like a watch that would elegantly grace a female (or feminine) wrist, and I stand by that having had it for a couple of weeks. The Gear S3 comes in two varieties this year, the Frontier model (which is designed for more rugged applications) and the Classic which more closely emulates a classy, dress watch. That said, you could easily wear one in the other situation, as they are more alike than not. Probably the major difference, besides colour and subtle styling, is that the Frontier model comes with a silicone rubber band, whereas the Classic comes with leather. Almost always, the rubber is going to be a better bet and last a lot longer; smartwatches invariably do not come with high quality leather. Besides the band, the specifications are largely identical; same dimensions, screen size, guts and capabilities. Because of this, we’re reviewing the Gear S3 as a platform rather than reviewing each model separately. There’d be no point doing otherwise. Let’s look at those dimensions; the Gear S3 is 12.9 mm thick — thicker than most modern smartphones — and it’s not small across either, with a 46mm case. Despite its size, it actually looks somewhat less bulky than some of its competitors; the Moto 360 v2, for example, actually looks bigger, even though it isn’t. Samsung tells us that the design of the Gear S3 range is equally appealing to women as it is to men, but I just don’t see it, especially with the Frontier model we’ve reviewed; it’s big, and unmistakably masculine in design. Sure there are some women out there who will buy and rock this watch, but for many women, I fear this watch just isn’t designed for them. If you can put the size to one side, the design is otherwise rather intriguing. Made from stainless steel and incorporating a rotating bezel that actually does something, the Gear S3 range is IP68 dust and water resistant, meaning you can probably take it for a swim (well, I have been, daily) and the Frontier model is also military standard-rated, meaning it can handle a hell of a lot of life’s little knocks. Both watch-band styles are interchangeable with standard 22mm bands and quick-release lugs, though you will need some pointy fingernails to get in there to unclip them. I tried the rubber, then changed it out for a leather band I had floating around… then decided that looked rubbish and went back to the rubber. It’s not my favourite, but it’s hardy and suits the watch; there’s little point having an IP68 rated watch that can withstand a bomb going off, and pairing it with a beautiful leather band that will be destroyed if you sweat in it. 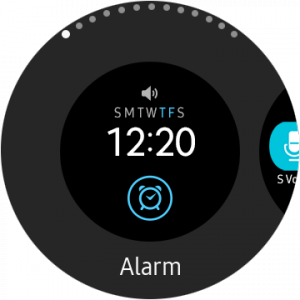 Samsung have thrown a 1.3-inch fully circular OLED display into the Gear S3, which gives you bright colours, and viewing angles approaching 90º horizontal. This is a smartwatch that can easily be used just like a watch, and you’ll appreciate that when you’re wearing it and using it regularly (as I do). 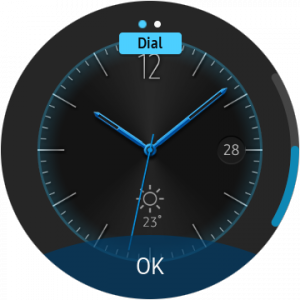 Using the OLED display, Samsung has always-on watchfaces on the Gear S3, which are touted as a bit of a first, but I’m not so sure they are; you see, Android Wear has had always-on watch faces since its inception, but with an OLED, they work so much better. 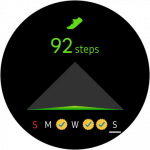 Sadly, Android Wear’s always-on watchfaces don’t hold a candle to what the Gear S3 does. They aren’t just a lower-brightness version; the resolution drops, colour fades, and movement becomes less smooth. 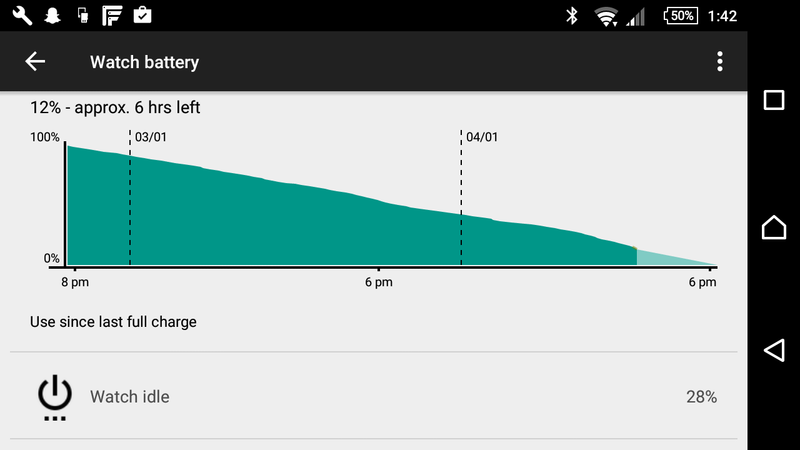 You won’t notice this, but you will notice the battery life improvement. 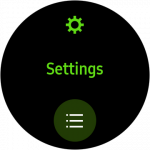 Always-on watchfaces on the Gear S3 really don’t affect battery life in any perceptible way (despite the warnings on the watch itself when you turn them on). What else is there to know? The charging interface is wireless, just like the Moto 360 v2. No fiddly cables or adaptors to get just right; take the Gear S3 off and throw it into the charging cradle, and it just charges. It’s stupidly simple, and I have no idea why others (except Moto) haven’t incorporated this yet. The first thing to note is that the Gear S3, despite having Android compatibility, is not Android Wear. If you ask me, this is mostly a good thing, but there are some downsides to Samsung’s approach. 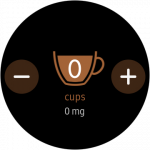 On the upside, there are significantly more features, most of them are even somewhat useful. The interface takes a bit of getting used to, but it’s intuitive enough, and the rotating bezel makes navigation quite a bit quicker than the disjointed Android Wear experience. The basics are all here. 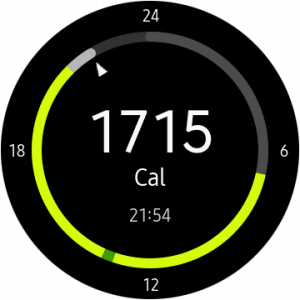 You can receive notifications on your watch, with fairly granular controls as to what gets pushed and what doesn’t. You can view your agenda, contacts, weather, set an alarm, play some music (either on the watch or on your phone), and even read the news or call yourself an Uber. IF that sounds like a lot, it’s because it kind of is. The Gear S3 works much more like a basic mobile phone than it does an advanced smartwatch, and sometimes these features just feel like a bit too much. Sure, the screen is big and bright, and the bezel helps with navigation, but at the end of the day (and after a few days) you’re going to settle into a pattern of use that probably doesn’t involve much more than leaving the watchface on, checking notifications, and maybe taking a look at the weather while you’re getting dressed. Samsung Pay works on the Gear S3, which is great, but Samsung Pay supports next to no Australian banks, and it doesn’t work with Google’s Pixel (for some reason, the Pixels aren’t supported) so I couldn’t use it even if I wanted to (and had an AmEx or Citibank Mastercard). So it doesn’t really offer much. Calendar is interesting, but I don’t want to scroll endlessly to see what’s coming up. I have a calendar widget on my phone’s homescreen that shows me a couple of days at a glance. Far more useful, and easier to read. That’s just two. As noted above, I basically didn’t use any of the Gear S3’s apps more than once, because I just didn’t need to. 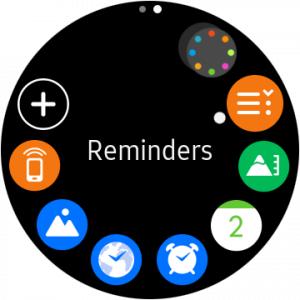 Notifications are 50% of what I want a smartwatch for, and being able to readily see the date and time is the other 50%. Of course, you don’t have to use any of these features, and they won’t bother you if you don’t want to use them. S Health is probably the most likely candidate for your use, and we’ll talk about that a bit now. 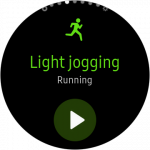 Track the distance you’ve run, walked, biked, etc. 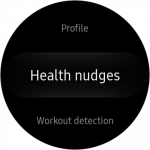 S Health on the Gear S3 is even intelligent enough to detect when you’re performing certain activities and start tracking them for you. I’m sure this works kind of well, but it can be a bit overzealous. While driving around, the Gear S3 more than once started tracking a bike ride… even though I was driving a car at a speed no cyclist could ever safely reach. 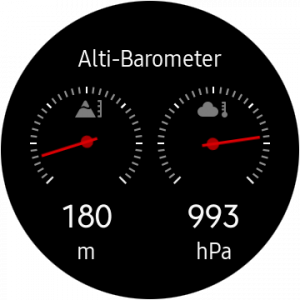 On other occasions — when swimming — the Gear S3 thought I had commenced riding a bike. No. Just no. It never managed to figure out that I was swimming, though, and then I found out that of all the activities in S Health — and there are quite a few — swimming isn’t one of them. 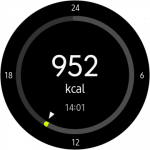 If you’re all for keeping an eye on your fitness, but not too seriously, the Gear S3 will probably be helpful to you. However, if you’re a bit more serious than that, you’ll already have (and prefer using) a dedicated fitness tracker from Fitbit or the like. The Gear S3 battery life is good for a smartwatch, at two days or so, but terrible for a fitness tracker. Equally, it’s quite a lot bigger and bulkier, and if you were to go for a run, you’d probably find the size of the Gear S3 annoying. It’s probably also a touch too large to comfortably wear to bed, meaning you miss sleep tracking, too. Because it isn’t Android Wear, and it isn’t running the same internals as other smartwatches, Samsung can get a bit creative and clever to extract more life out of a smaller battery. That said, the Gear S3’s battery — at 380 mAh — isn’t exactly small, and Samsung claims up to 3 days of battery life for average use, whatever that is. I’d say two days is a bit more likely, and that’s with notifications here and there and otherwise largely ignoring it. You can probably squeeze a bit more life out by switching off always-on display, but seriously, why would you do that? The most useful aspect of a watch is that you can instantly see and tell the time, and if you have to tap it or shake your wrist to wake it up that kind of defeats the point. Two days with an always-on display is just fine by me. One thing that’s interesting, and I haven’t looked too far into this, is that the Bluetooth range on the Gear S3 isn’t quite as good as some Android Wear watches. In fact, it can cut out in as few as a couple of metres from your phone, which is kind of odd. It does include WiFi connectivity, much the same way as Android Wear does so it can reach your phone over the same WiFi network if Bluetooth can’t reach, but I can’t say that I actually managed to get this to work. 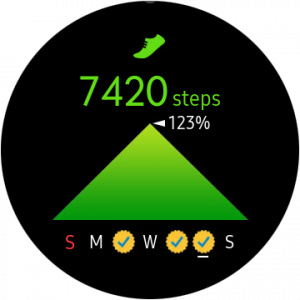 Android Wear does make it a bit easier. There is little doubt Samsung has taken the “everything, and the kitchen sink too” approach when designing the Gear S3. There’s everything that most people would want, and if you want more, there’s Samsung’s App store as well. Yes, there is a swathe of crappy apps on there (just as there are for Android Wear, it’s no different), but seriously, I doubt anyone is going to use any of these. 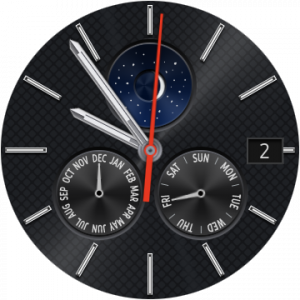 The Gear S3 is an ultra-capable smartwatch, but I think perhaps it tries to do too much; there’s features on here that hardly anyone will use, much less regularly, and the inclusion of these edge-case features is probably more of a “because we can” rather than a “because we should”. Having said that, you might think I’m a bit down on the Gear S3, and I’m not. I quite like it, and even though it is full of bells and whistles, you don’t have to use all of them, and they’re basically invisible unless you go looking. If you don’t want to stream YouTube on your Gear S3, you don’t have to. If you don’t want to reply to messages using a tiny on-screen keyboard, you don’t have to. Don’t want to call an Uber from your wrist? Don’t. It’s cool that these features are there, but it’s also cool if you don’t want to use them. As good as the Gear S3 is — and it is good, I will likely wear it for some time — there are some things to be particularly mind of, especially if you’re coming at the Gear S3 from an Android Wear experience. Firstly, the voice control is rubbish. It’s fine for dictating a reply to a message, but S Voice is no Google Assistant. 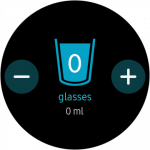 Voice control of the watch is so far beyond hopeless that you will never want to use it. 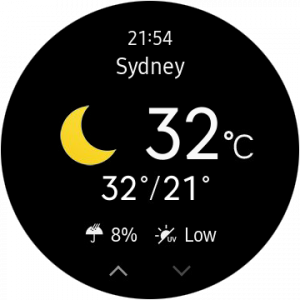 I asked the Gear S3 no less than five times to tell me the weather for Windsor NSW, and three times it didn’t know what to do, the fourth time it gave me the weather for somewhere in Canada, and the fifth time, I don’t even remember what it did. 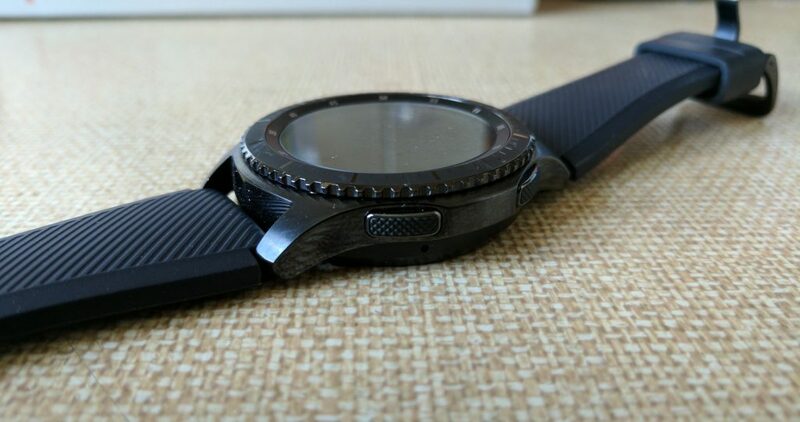 If you like talking to your watch, don’t buy the Gear S3. It’s good for talking to as a phone because yes, you can take and make calls from your wrist, but if voice control is your thing, look elsewhere. S Voice is beyond frustrating, and lacks the natural language capabilities of Android Wear and Google Assistant. One of my favourite voice commands is “OK Google, Send Rachel a Telegram Message saying I’m on my way”. 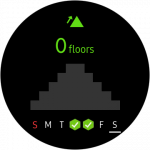 Android Wear does this instantly. S Voice gives you the weather for New Brunswick, Canada. 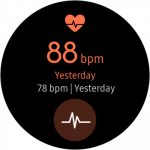 The other thing that annoys me a little is that many app developers have done a bit of work integrating with Android Wear, to allow more useful interactions from the wrist. Samsung’s Gear S3 does capitalise on a lot of this; you can reply to text messages from notifications, and do a bit more, but Telegram messages you can’t reply to; it just opens them on your phone. Not quite what I’m looking for here. Is the Gear S3 worth the asking price of $599? If you want a smartwatch that looks 99% like a nice, classy real watch? Yes. 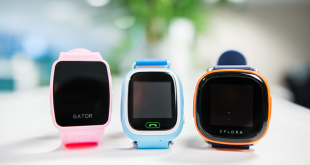 There aren’t many other smartwatches on the market that really come close. The Gear S3 looks the part, and in terms of functionality, it offers a lot more than Android Wear, with a couple of exceptions as noted above. On the flipside, there are a number of Android Wear watches that are quite capable, and potentially quite a bit cheaper. If you value voice control (e.g. while driving or riding), you will probably have much more success with Android Wear than you will with Samsung’s S Voice. With this in mind, the answer has to be no, the Gear S3 is not going to offer good value for all. For a beginner smartwatch, I’d recommend something else. 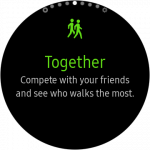 For a strong fitness tracker, I’d recommend something else. For a nice looking watch with good voice control and features, I’d recommend something else. I’d recommend the Gear S3 for those who don’t mind spending a little more, for a watch that looks better than any other smartwatch on the market, and which will probably do 95% of what you want it to do. For everyone else, there are probably better, more affordable options out there. 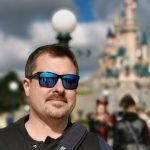 Samsung has allowed Ausdroid to retain the Gear S3. Next Plex can pull your media from Google Drive, Dropbox and OneDrive.. who needs a NAS anymore? Do you still use your watch for swimming? Is that still going well? According to Samsung you should not use it for swimming, it’s rated IP68. Do you swim in a pool or at the beach. I want to get this watch but has not done so because apparently you cannot swim in it. You know what? I do swim with it pretty much every weekday. I know it’s only IP68, but it doesn’t mind the water at all. Obviously, your mileage may vary .. and I mightn’t have tried this with a watch that I bought, but in the pool, spa, etc it survives just fine and has done since the review unit showed up. Good review but it missed some of the notable bugs/feature flaws that Samsung don’t seem to want to acknowledge. 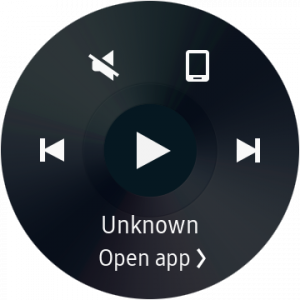 The dialer was very flakey up until 2 weeks ago and the main issue (that they don’t publish anywhere) is that the preloaded uber app will not work properly unless you run a samsung watch which is very irritating. Also, lack of support for major apps is a slight issue but one I hope is addressed in time. Dialer was fixed very quickly, so didn’t merit a mention. I don’t use Uber regularly so didn’t notice any issues with its use, sorry about that. 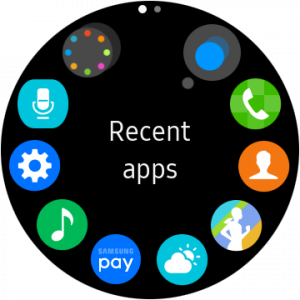 As for the lack of apps, well I did touch on that; by eschewing Android Wear, Samsung is going it alone, and with very limited, more expensive hardware, there’s little incentive for people to develop for the platform at this stage. First sentence needs correcting to “S2”. I wonder how the future of these phones will be. Android Wear watches have the backing of Google for software updates, while this watch will be dependent solely on Samsung. Yes it did. Thanks Craig. Too much S3 on the brain. I have the Huawei watch and I’m getting 2 working days out of it. From Monday 6am to Tuesday night which then goes on charge ready for Wednesday. If I switch off flick wrist to switch on, I have managed to get 4 days. I have played around with it and switching always on saves probably about an hour or two. 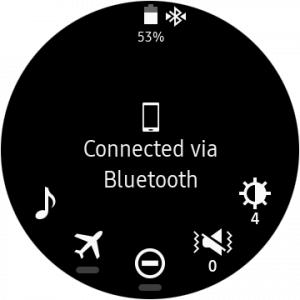 I get two days out of my LG Watch Urbane with the always on display. The device is over a year old and the battery is still giving me two days use. Not sure which Android wear devices you’re talking about. Tien and I have mentioned two devices that contradict your ‘lame’ comment. Thanx for you honest review!